Kam Cares Foundation is a 501 (c) (3) non-profit organization established by Kam Chancellor of the Seattle Seahawks. 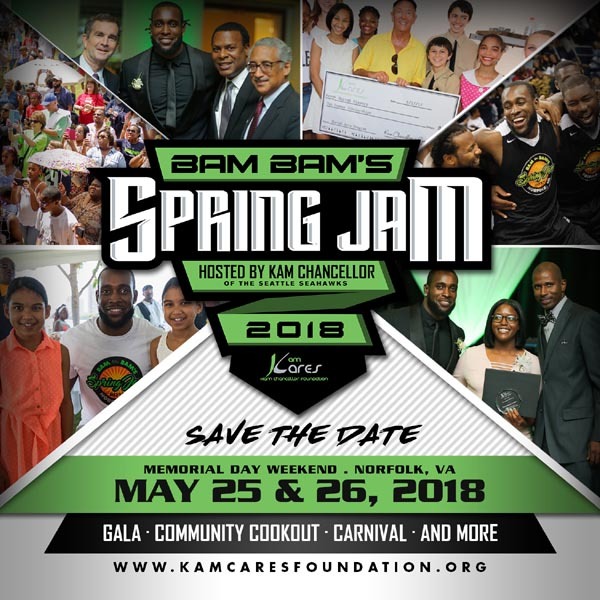 Kam Cares seeks to equip children from underserved communities in Hampton Roads and Seattle areas with educational, health, and wellness tools and resources to position students for greater academic success. Kam Cares supports organizations that serve children from single parent homes and lower socioeconomic backgrounds. Thank you for contributing to the success of children in our community. Most donations are tax-deductible. Support the Movement. Become A Volunteer. Sign up for exciting volunteer opportunities with Kam Cares Foundation.